We argue that soundscapes possess both ecological and social value and that they should be considered natural resources worthy of management and conservation. In this paper we bring together diverse bodies of literature that identify the human and ecological benefits provided by soundscapes. Sense of place, cultural significance, interactions with landscape perceptions, and wildlife wellbeing are a few of the values ascribed to soundscapes. The values and benefits of soundscapes are motivation to advance soundscape conservation and management. Given that soundscape conservation is new, we present a summary of conservation principles that need to be considered in soundscape conservation planning. These include the need to set goals, identify targets, assess condition, identify and manage threats, and conduct monitoring of the soundscape. 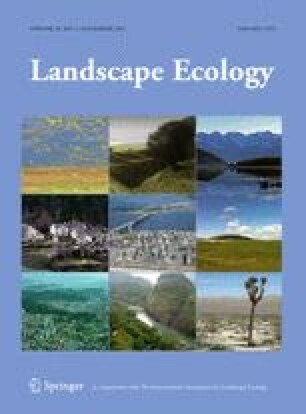 We also argue that soundscape conservation needs to consider the soundscape within the larger mosaic of the landscape that is occupied by humans—a perspective provided by landscape ecology. We describe several different kinds of soundscapes that need to be conserved, such as natural quiet, sensitive, threatened, and unique soundscapes, and the ways that conservation planning can protect these for the future. We thank Purdue University’s Department of Forestry and Natural Resources and the Environmental Protection Agency’s Science to Achieve Results Fellowship (STAR Fellowship #FP-91723901) for their parts in funding this research. This publication has not been formally reviewed by the EPA and the views reflected in this paper are solely those of the authors.